American Idiot started as a concept rock opera album by the American band Green Day in 2004 and was subsequently developed into a musical by Billie Joe Armstrong and Michael Mayer a few years later. The narrative follows 3 friends in small town America disillusioned with life after the Iraq War. Each one story takes a different twist as we follow their lives and ups and downs. Tom Milner gives an outstanding portrayal of American Idiot’s lead character, Johnny, who moves to the city to find a better life only to end up without a job and addicted to drugs. 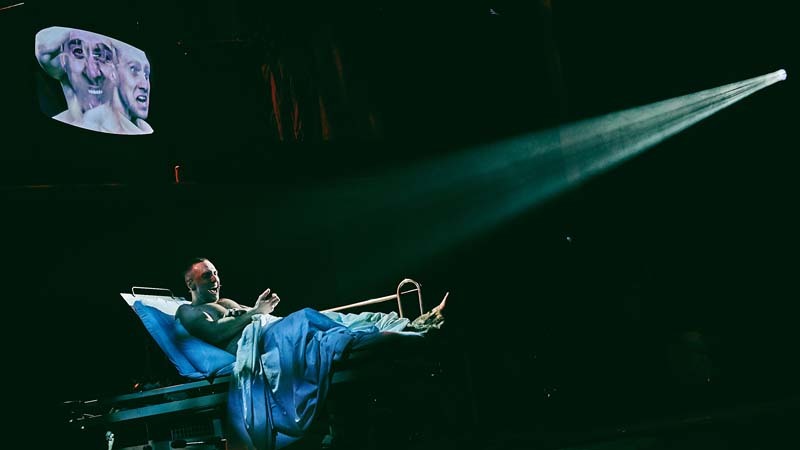 The second act involves a scene in which Johnny’s character indulges in drug use and is performed with sensitivity, as Milner draws the audience in to make them care about what happens to his character next. From the first moment the audience view her at her window catching the eye of Johnny, Sam Lavery gives an attention-grabbing performance as Whatshername Lavery’s version of Letterbomb is undoubtedly one of the most outstanding across the many touring versions of the musical I have seen. Another outstanding moment features Joshua Dowen’s Tunney and his version of Before the Lobotomy which incorporates the use of stunning videography. Samuel Pope played Will, the friend who got left behind, while Siobhan O’Driscoll portrays Heather, Will’s girlfriend, who quickly learns she’s pregnant. Their story is perhaps the most relatable as we follow their process of having a baby, breaking up and getting back together. The American Idiot tour band also gave an outstanding performance and it was nice to see some of them making appearances on the stage, bringing them into the musical narrative. There appeared to be no obvious change to the American Idiot set since the shows last tour, but I thought the lighting had improved somewhat and added an extra dimension to some of the scenes. 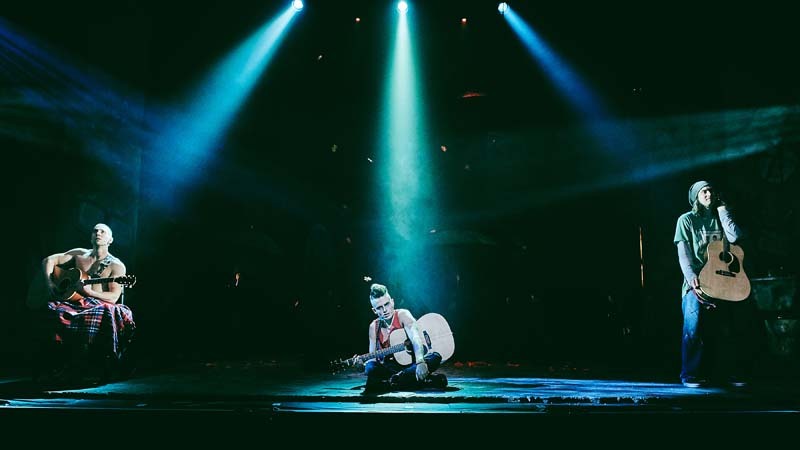 A rock opera for our times, American Idiot – The Musical remains relatable and identifiable in its story-telling and music presentation and deserves to be seen by as many people as possible, if only for the social issues it addresses along the way. American Idiot - The Musical continues its run at Cardiff New Theatre until February 2, 2019.